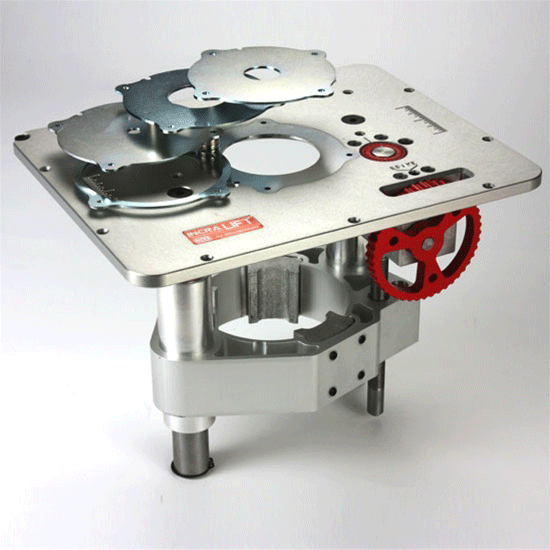 The family of MagnaLOCK™ router table products is growing! 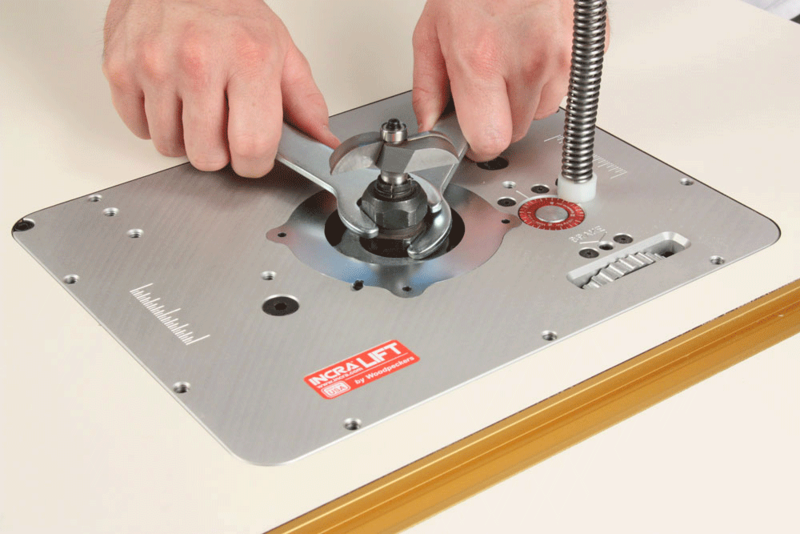 The concept is like nothing else: To raise or lower the router quickly, the quick lifting tool disengages the lift’s mechanism and the spring assist allows the heaviest routers to travel freely with very light effort and no cranking. 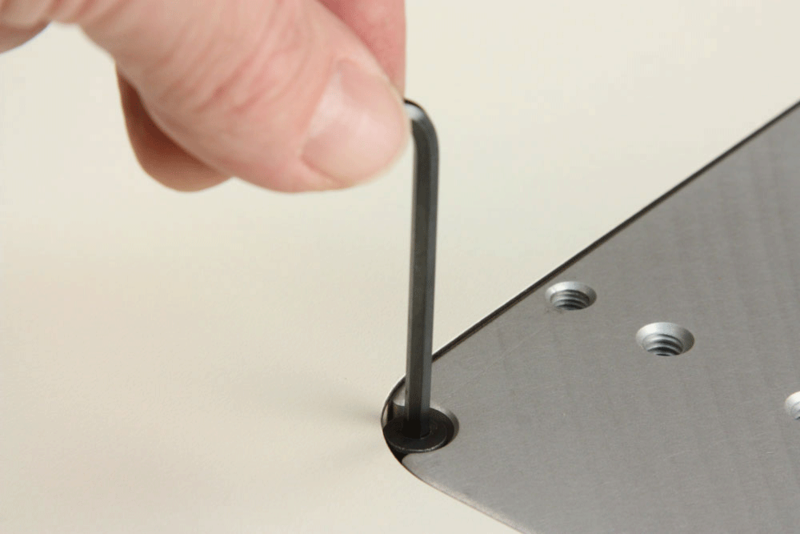 The router’s collet can be raised above the table for bit changes in two seconds! The quick adjuster provides the speed, and the tool-free micro adjust provides the finesse. 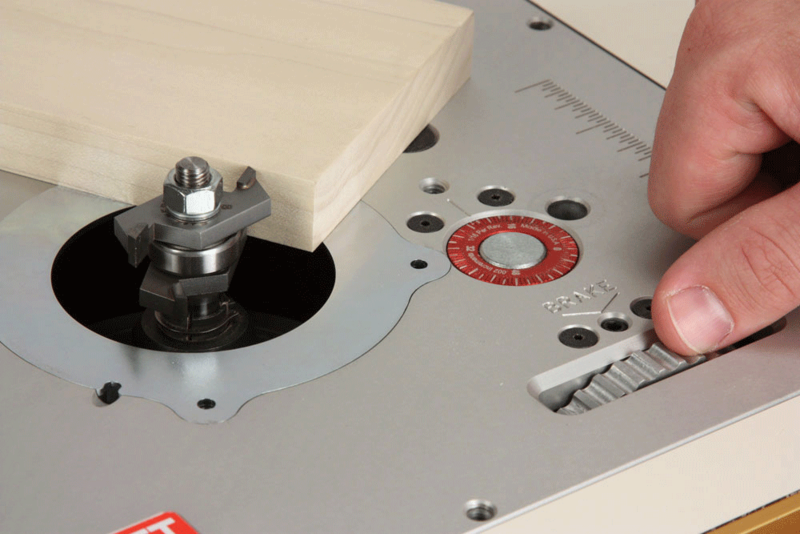 After the router bit height is in the ballpark, no tools are necessary for fine tuning. 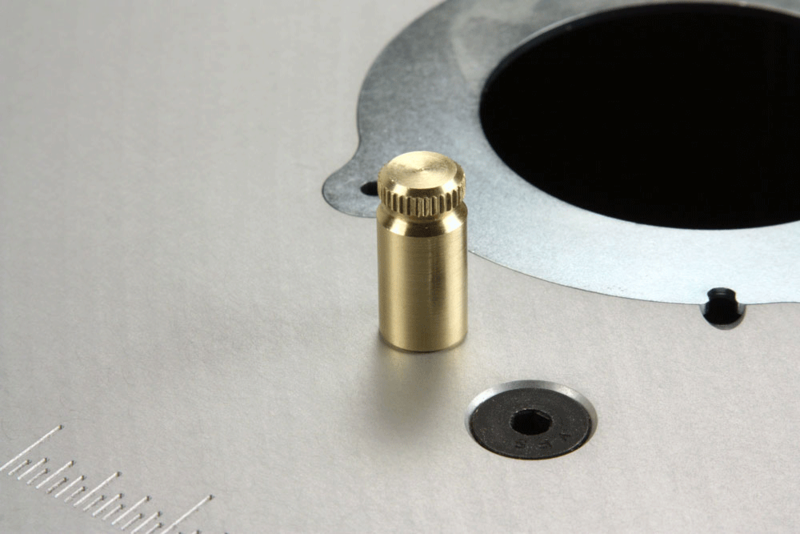 A large thumbwheel embedded in the lift’s top plate is instantly accessible for micro adjusting anywhere within a 3/8” range of travel. The travel indicator dial is graduated every .002” and can be reset to zero. A carriage brake is also available right next to the micro adjust thumbwheel for locking the carriage during extended cutting. 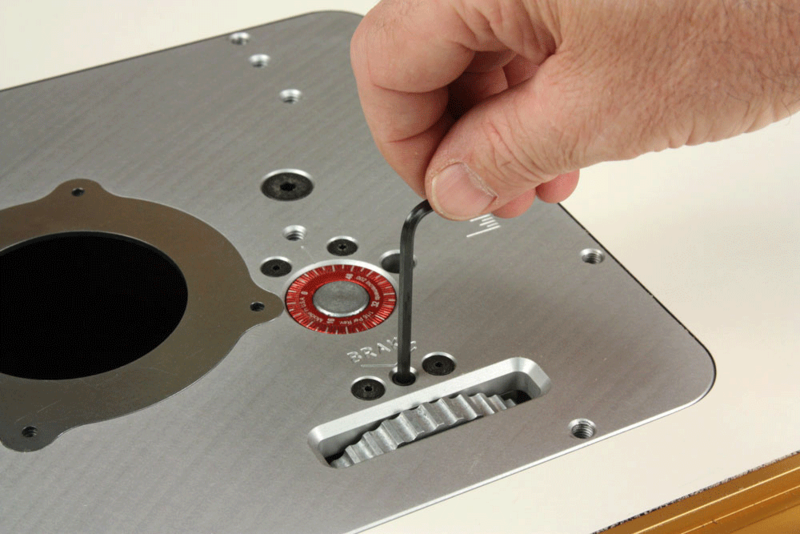 As with our custom INCRA Mast-R-Lift-II, the PRL-V2’s top plate is a super flat Blanchard-ground casting that’s machined to accept INCRA’S unique MagnaLOCK™ reducing ring system. 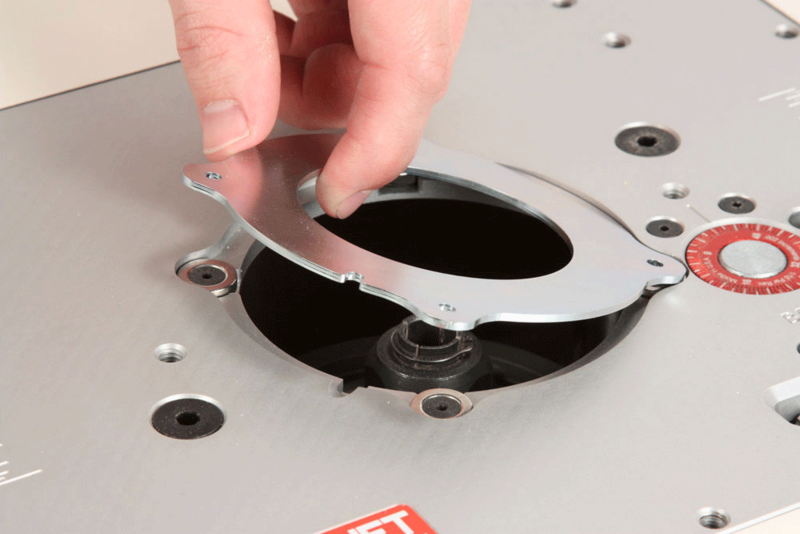 The laser-cut steel rings are securely held in with powerful rare earth magnets for super fast ring changes, and a simple leveling system guarantees that the rings will snap in absolutely flush with the surrounding plate. 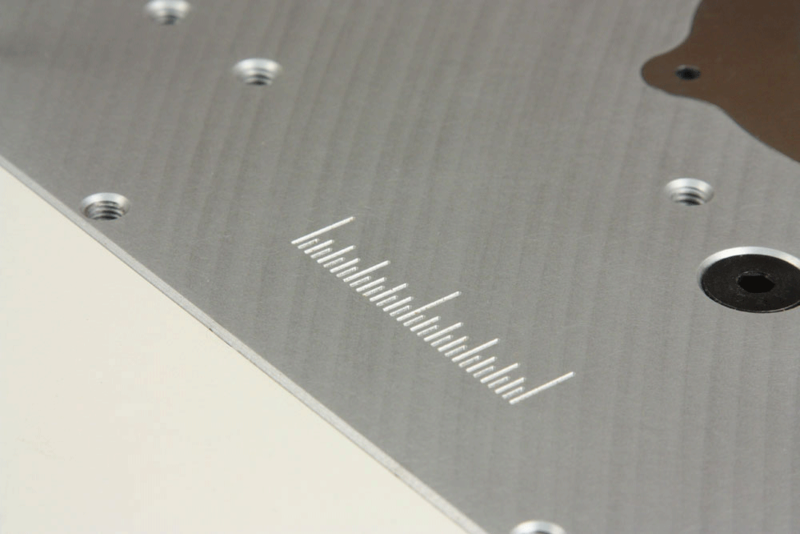 The MagnaLOCK™ System is simply the most convenient, best performing reducing ring style available. Includes five reducing rings for great variety right out of the box: 3/8", 1", 1-5/8", 2-5/8", & 3-5/8”. The PRL-V2’s massive, one-piece carriage comes ready to accept the 3hp motor from the Milwaukee 5625-20 fixed base router, and optional motor mounting pads are available to accommodate the smaller Porter-Cable 890 series routers as well as the Bosch 1617 & 1618 motors. 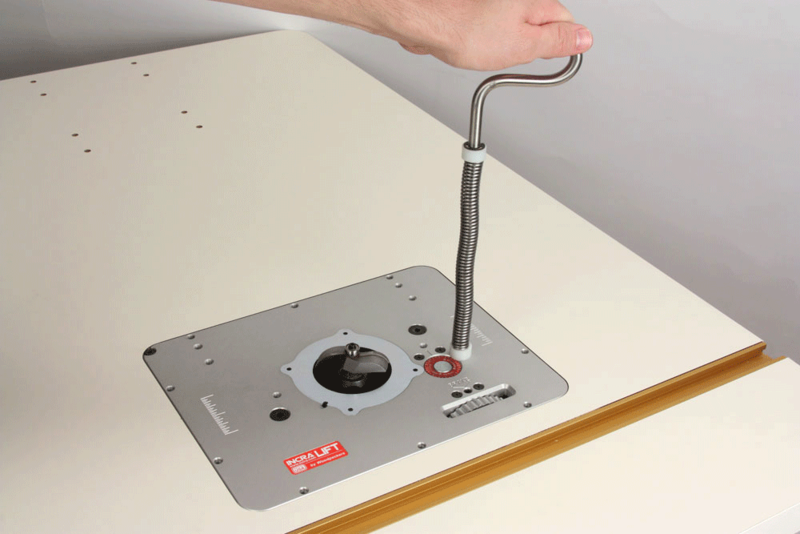 Above the table router bit changes. Simple, easy to use brake. 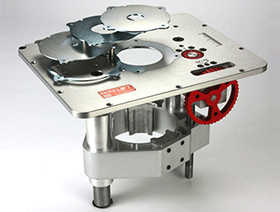 Including 5 MagnaLOCK™ reducing rings. Click to download INCRA PRL-V2 Manual in PDF format. INCRA/ PRL-V2 Adaptor Pads Setting up the PRL-V2 for a different router is as easy as changing to the appropriate motor pads.